Today is Hufflepuff Day for all Potterheads! What is your Hogwarts house? When I read descriptions of each house I though Ravenclaw fitted me more and I still think so, but I took the official test of J K Rowling and they say I'm from Slytherin. I must have a dark soul. Beware, I'm bad. Freaking Halarious, the GIF just made it so. Mostly gryffindor, but im a good bit hufflepuff too! Not at Hogwarts. I'm a proud son of Durmstrang. Although I did the pottermore test and got Gryffindor. Ohh durmstrang is a Fantastic Beasts version of whatever their school is? Eh, sorry what? Xd What are you asking? Didn't quite comprehend that sentence. How can I know what is my Hogwarts House? I just know I am not a Ravenclaw or a Slytherin. What’s It Like To Be In A Club? Is It Fun? Favourite marvel characters? Any good recent science-fiction movies that I could watch? Where did the popular image of the Lady in Red come from? What’s your favorite one-liner from any movie? Sorry... I don't understand geek, I mean, "young adult's literature/culture" (if it can be called as Literature LOL) jabber and language.. I think I'm Ravenclaw according to some online test I did a while ago. But okay, when I did it on Pottermore, I got Ravenclaw. So there is that. Where is the damned diadem? I feel like I'm supposed to be Slytherin but apparently I'm not... so go badgers? The house everyone wants to be. Slytherin. And happy Hufflepuff day to you and your housemates! 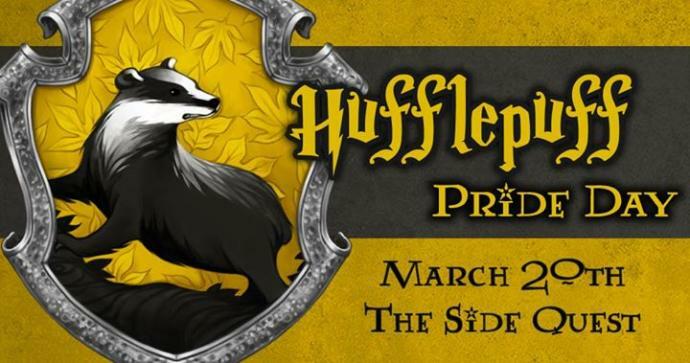 Home > Entertainment & Arts > Today is Hufflepuff Day for all Potterheads! What is your Hogwarts house?